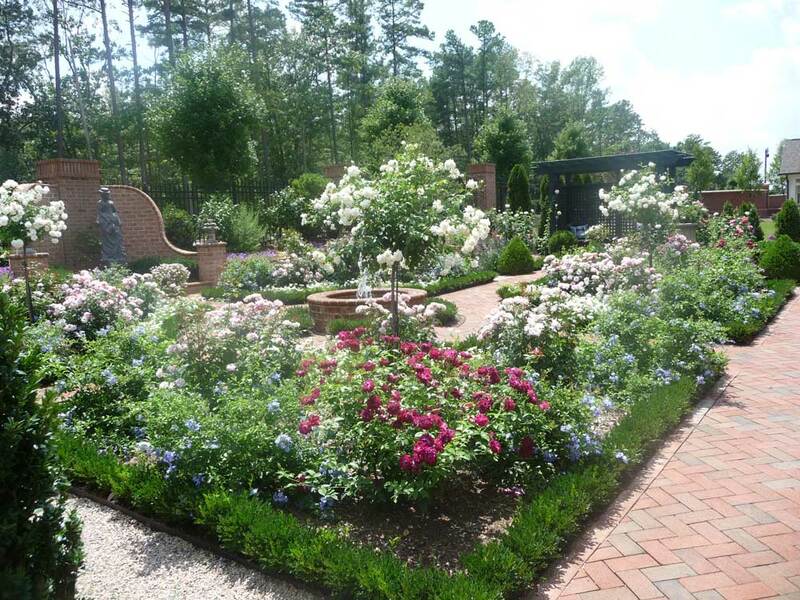 Gardens of the Carolinas takes water proofing, grading and draining very seriously. 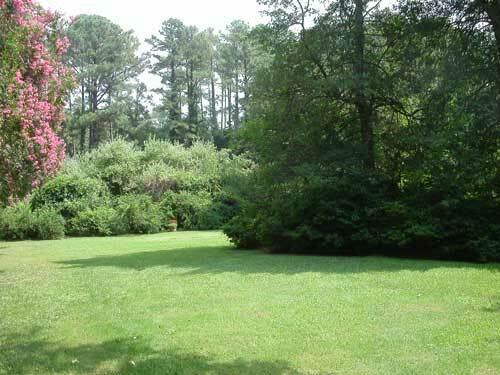 A beautiful completed garden can be a disaster with poor drainage. It is important to determine what the expectations for the drainage system are to properly design and install. Having a positive fall away from the structure is key, while a sealed foundation and drain line are imperative. Carrying the downspouts from the roof away from the foundation can save costly repairs later. When laying out the garden it is essential to project all heights and fall angles. If possible, the water can be saved for future use in rain barrels and in certain settings in below ground, gravel retention areas. There are two primary drainage system solutions: topically (on the ground’s surface) with swales and berms and as a system (underground) with inverts, piping, and a variety of drain materials. Proper grading is the 1st step to successful topical drainage systems. These systems tend to be self sufficient once installed with only minor maintenance (leaf removal in swales, occasional re-mulching). They are normally a more cost efficient approach, being quickly installed, requiring less materials and precision in the installation. An underground drainage system should be carefully planned for. Entry elevations on basins, pipe diameters based on flow capacities, release points and erosion potential are considerations within an underground drainage system. There should be scheduled maintenance and care with these systems, as most times if they become covered or clogged and fail there will be costly problems. 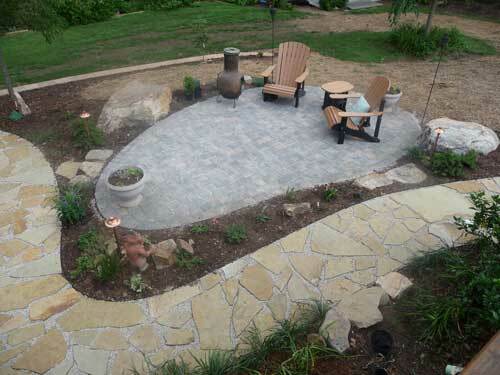 The goal is to solve drainage needs in the simplest, most natural and self maintaining way. Ideally we develop desired grades with soils protected against erosion through organic and inorganic materials with a modest fall to a satisfactory, non erosive release point. We strive to have excess water leave our client’s property in a fashion that is no more direct or forceful than the way it was received.